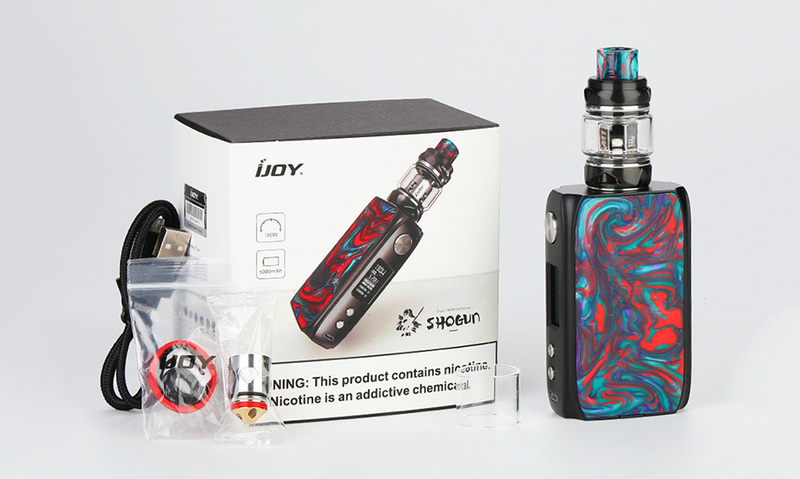 The IJOY Shogun Univ Kit with Katana Tank is a perfect combination of power and beauty. It utilizes a compact size and stylish streamlined design highlighted by exquisite artistry and workmanship, which offer you a deluxe appearance. Powered by dual 18650 batteries, the IJOY Shogun Univ reaches up to the max output of 180W with multiple vape modes. 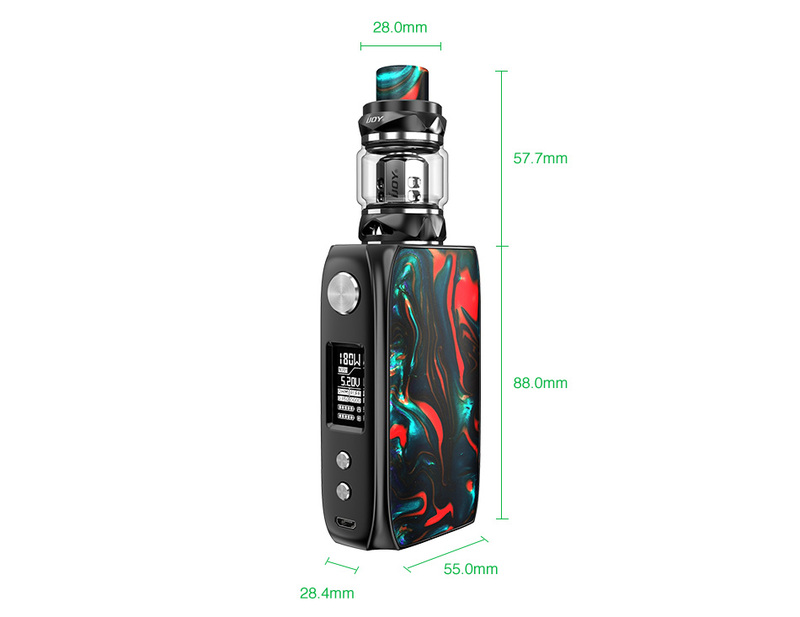 And the Shogun Univ also comes with the bright 0.96 inch screen and built-in UNIV chipset, providing a much more stable and convenient vaping environment. One more obvious feature of the Shogun Univ is that it is made of solid and textured materials and equipped with beautiful double-sided resin panels in a variety of gorgeous color options for a high-end appearance and generous hand feeling. And one side panel can be replaced. While the IJOY Katana Subohm Tank has optional 5.5ml e-juice capacity, featuring convenient slide-n-fill top cap design for easy refilling and leakage prevention. Compatible with innovative KM1, DM-M2, DM-M3 mesh coils, the Kanata Tank enlarges the heating area for optimal vaping flavor and huge clouds. Plus the balanced triangular adjustable bottom airflow system, the IJOY Shogun Univ TC Kit with Katana Tank will be your ideal vaping device.